Undefeated by Stuart Reardon & Jane Harvey-Berrick is a story about one man’s journey to overcome injury and obstacles to become a champion both on and off the field. If he can prove his worth and learn to trust, he will be unstoppable. If you love a story packed with action, conflict, the ability to rise above the odds, one-click. This is an emotional journey to finally find love and it’s tender, raw, and intense. Nick Renshaw has reached a pivotal point in his life, and his future hinges on one night that will change is life forever. Now, faced with losing everything he values, he will need to dig deep and find the faith and courage to prove once and for all he’s worth the risk. Who will stand by him? Who can he can trust? Anna Scott needed a change, and crossed the pond for a fresh start. Nothing will prepare the sports psychologist for the life altering moment that pushes her out of her comfort zone. Is it possible to keep her personal and professional life separate? Will the one thing she’s running from catch up with her and destroy her new found happiness? When one patient gets under her skin, will she be able to resist the magnetic pull? Anna is a strong women but will need to push past her fears and dig deep find the strength to live the life she’s always wanted, not what was expected. 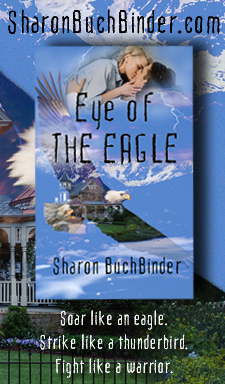 Rules are sometimes meant to be broken, will she mind the rules or take the leap? Our hero has been beaten, battered, and bruised. What it will take to turn Nick into a champion and be admired for his strengths, not his indiscretions or weaknesses. In a world where secrets have a way of unfolding, Nick and Anna will need to trust in themselves and each other to survive the onslaught in front of them. Family and friends will guide the way towards the truth. Is the path the right one? If you were in their place, would you have the courage to speak out and stop at nothing to be heard? Spicy: Best enjoyed with your favorite iced-beverage, a cozy chair, and maybe a fan. I received an ARC from Arden Prose for a fair and honest review. It’s time to discover a rugby player who is on a quest for redemption. As I swiped the last page on my e-reader, I couldn’t tell where one author began and the other ended. There was no obvious shift in writing style or voice, it was seamless and kept me reading till the last page. Are you ready? One-click now!